These kids had such fun anticipating the waves and then running away from them, laughing the whole time. The older girl never let go of their hands. It was fun to watch. I always think of going on vacation and coming home kind of like a new start. It’s a chance to take a deep breath, see new sights, maybe experience new things, and maybe even come home with a new perspective on something that’s been on your mind. My suitcase is neatly packed the night before a trip, my carry-on carefully arranged with my cameras and extra diabetic supplies (my Lowepro backpack is awesome for that), and then it’s off and away with a hope that nothing will go terribly wrong on the trip (knowing that most trips have something come up that isn’t quite according to plan). Of course, on the way home, my suitcase is packed in five minutes with everything thrown in haphazardly (but just remember to throw in a pair of clean underwear in your carry-on in case your plane is delayed over night – that came in handy once for me…oh and put a scented dryer sheet in your dirty clothes bag – that tip is courtesy of my mom). Anyway, I have a lot of pictures to go through, but wanted to post one today. This is at China Beach between Sooke and Port Renfrew, with the Olympic Mountains off in the distance. This was my favourite beach of the ones we checked out. Most of the beaches we visited involved walks through beautiful rainforests to access the beach, the walk to this beach was also one of my favourites. These are pictures from a trip to Mackenzie Beach, near Tofino on Vancouver Island in June 2011. I would love to go back. From your balcony at Ocean Village, it’s a place you can experience the sound of rain, the sound of wind in the trees and the sound of ocean waves on the beach. I’m trying not to dwell on it, but this is going to be a long winter…and because the plan is to do a big trip later in the year (I have a milestone birthday this year and want to do something memorable), there is probably no winter escape in my future this year. 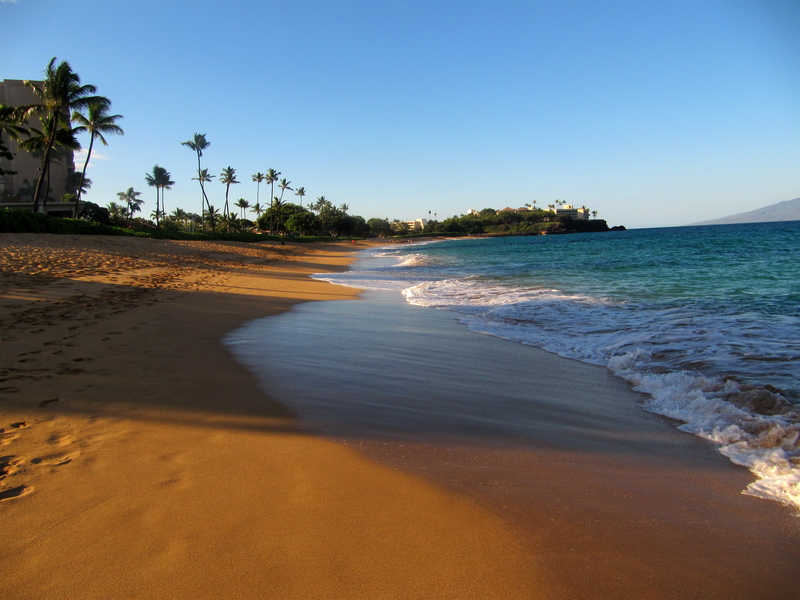 So, I was looking at pictures from a trip to Maui in February 2011, and yes, they did make me feel better. I may have posted some of these previously, but who doesn’t like to look at pictures of warm sand, blue skies, palm trees and ocean waves? It’s snowing here….again. We’ve had more snow this month than we had all last winter. I don’t mind the snow, I think it’s quite pretty, in fact. A few months from now, though, I’ll be ready for a winter escape. This is a pic from a trip to Puerto Vallarta in March. I liked Puerto Vallarta, I didn’t love it, but it was a quick four hour flight from here, it’s in the same time zone, it’s really easy to get around….and it’s not -25 degrees there! So, if you want to get away for a week, spend some time in the sun and eat some really good food, it’s a nice option. 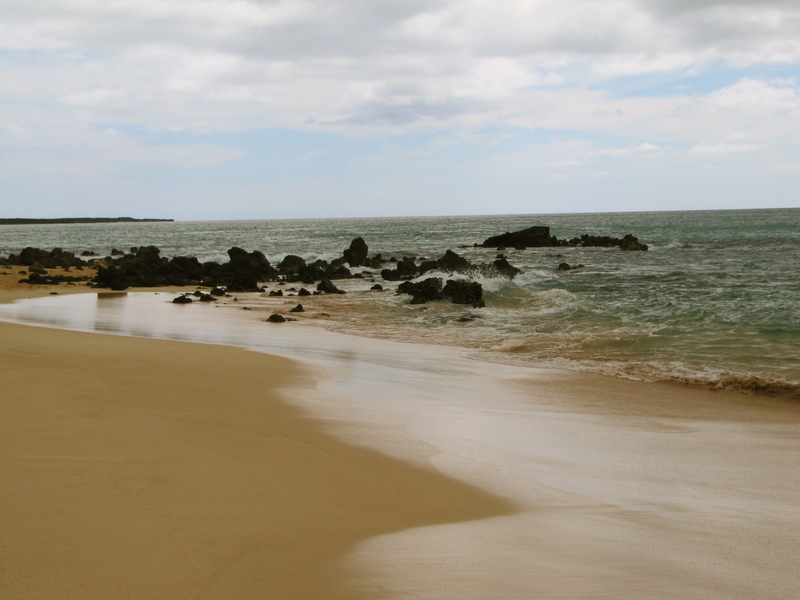 This week’s theme seems to be pictures of the sky (other than a brief interlude with a post about dogs and Mr. Dressup), so I thought I’d end the week with photos from Maui in March 2011. “Land of Living Skies” is the slogan on license plates here and people say there is nothing like a Saskatchewan sunset (I suspect people say that about wherever they are from, though), but Maui was spectacular. These are some of my favourite pictures of the western sky over Maui. All of them, except for the last one, were taken from Kaanapali Beach at the Royal Lahaina Resort. The guys in the picture were waiting for their friend who was snorkelling and listening to the whales. When he emerged, he was beyond excited describing what he heard. It was a cool moment. 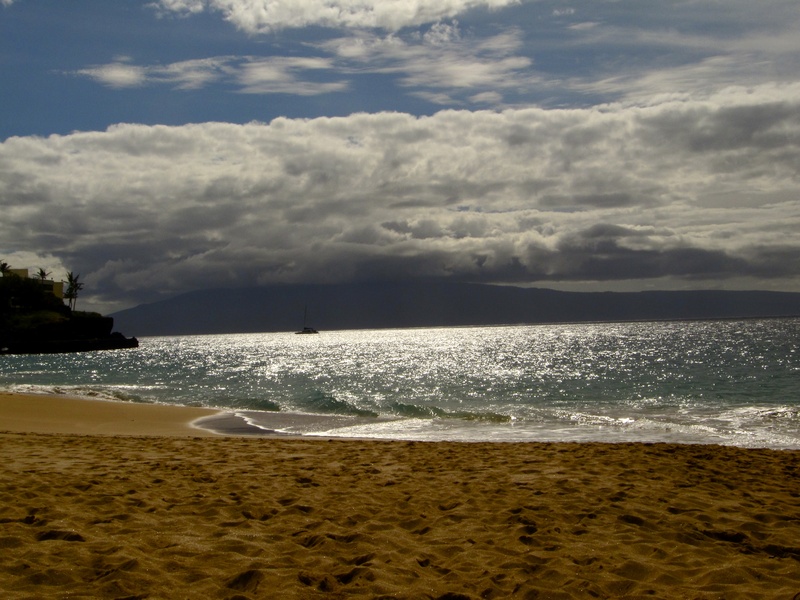 If Vancouver Island is my happy place, Kaanapali Beach is my tropical happy place. This part of the beach is uncrowded which I liked.